Poor planning? Engineering gone wrong? Unconventional street decor? 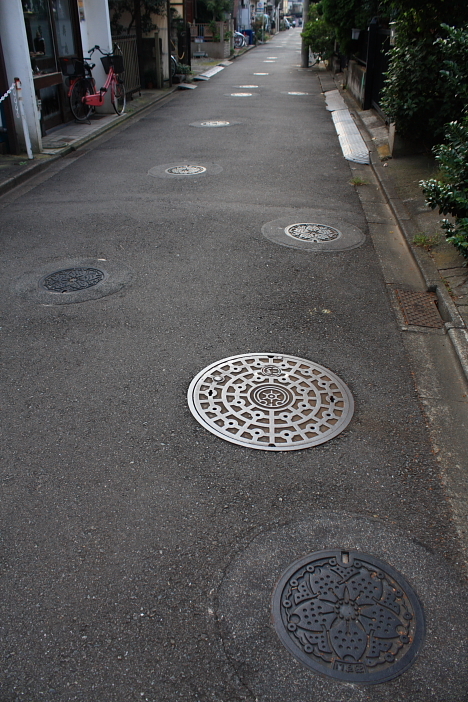 Whatever the explanation, this quiet residential street in Tokyo's Setagaya ward boasts perhaps the highest manhole density in town, with 85 of them scattered along a 200-meter stretch of pavement. 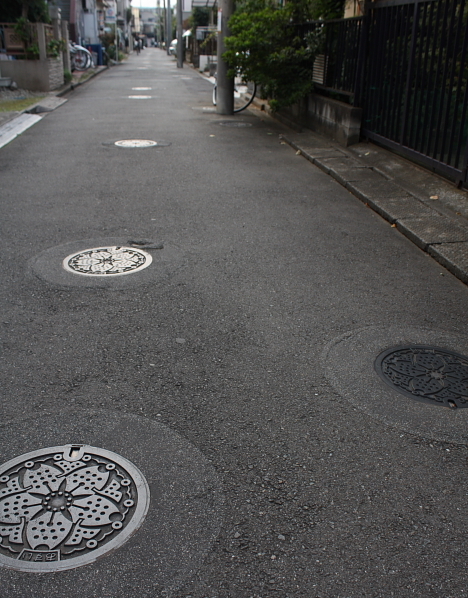 Fans of the curious street call it "Manhole Ginza." Hey, it's the loophole nexus! This is where I want to live. Shouldn't someone have noticed that they were making a new manhole five feet away from another one? Better hope nobody flushes an M80 on that street! 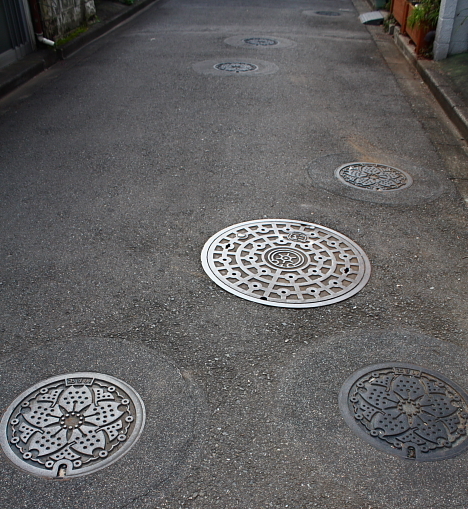 I like the design of the manholes! Reminiscent of flowers. 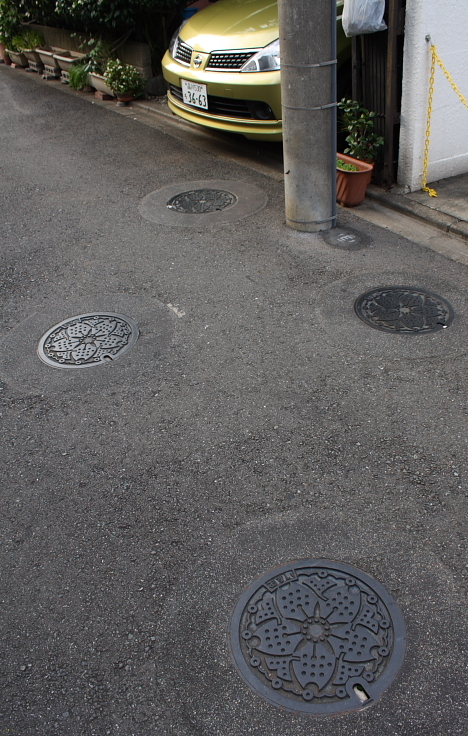 And here I thought North and Cicero in Chicago had a lot of manholes. Maybe they're just stickers ;) Saw that in an advert for some tire brand when they put a giant sticker on some street with some terrible holes in the middle of the road. Impressively realistic. Now, if it's not a sticker, then whoever was in charge with the city supervision of that project changed every 2 years and the follower hated the predecessor. Really bad. 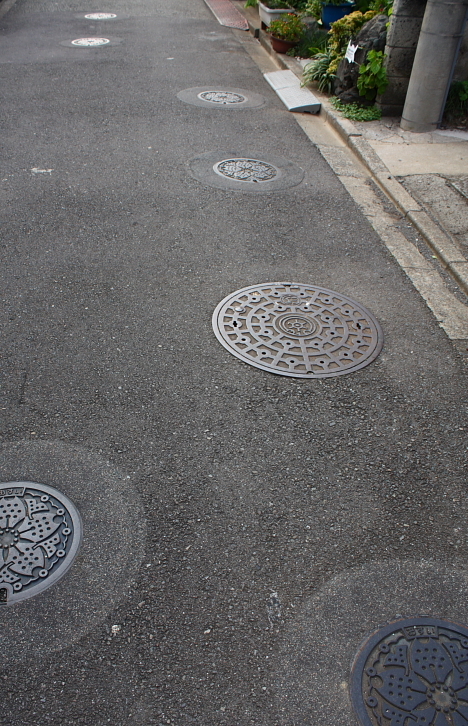 As a city employee manholes are required at every change in direction in a public sewer line. Where better to have a nexus of such than in an alley. Kudos on the artistic flair. mario just-a came in his a-pants-a! lots of japan is very poor. in okinawa they build roads so bad and so quickly on purpose, so they will have to come back within the year to keep working. weirdest thing is its totally acceptable. i'm betting something similar happened here, like its just a way to keep working and make money. That would be great for a movie. Just imagine them all shooting up in the air one after another. Kategorisiz Bilgi » Blog Archive » Tokyo’nun r�garlar soka? ?